I don't usually have any interest in modified watches, but I had a sad looking 6309-7290 in my drawer that water had made a mess of the dial and hands. 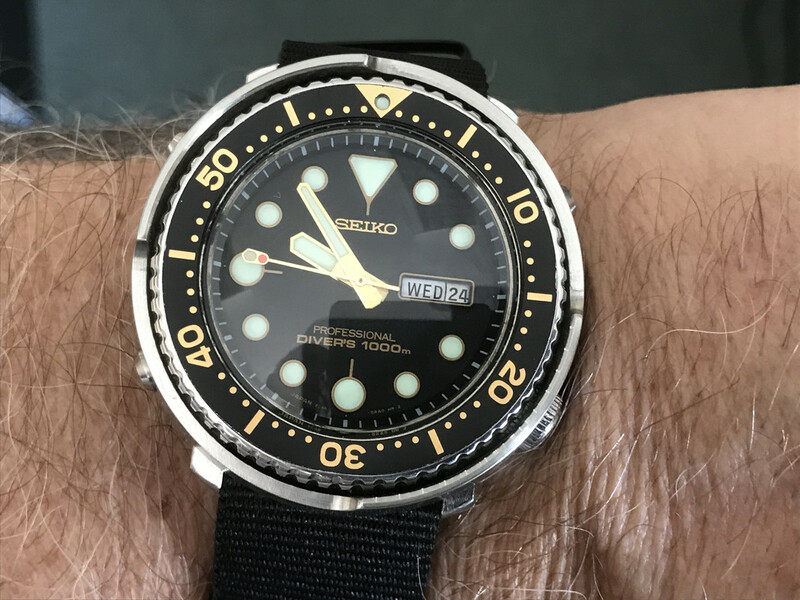 After looking at some of the TST conversions (by The Tiger UK) I decided to make a TST mod out of this Seiko, but unlike most other people, all parts are genuine Seiko. After (Tiger) John made and fitted the S316 stainless shroud, I sent the watch to Duncan (The Watch Bloke) for a full movement service, along with an NOS 7C46-7008 dial found on ebay, new SBDX012 Limited Edition MM300 gold hour and minute hands, an NOS 6159-7001 second hand, an SKX011 bezel, topped off with a 6105-8110 crystal. It turned out looking good...! Last edited by Jim W; 8th November 2018 at 12:18. That two tone look is class ! Very nice, have been tempted by TST in the past. Might need a revisit ! I couldn’t use a 6105 bezel, the markings needed to be gold to go with the gold dial and hands. I would have liked to use a 6309-729B bezel, but an NOS one is impossible to find. The SKX bezel is just perfect. Last edited by Jim W; 10th November 2018 at 11:33. I couldn’t use a 6105 bezel, the markings needed to be gold to go with the gold dial and hands. I would have liked to use a 6309-729B bezel, but an NOS one is impossible to find. The SKX is just perfect. I would happily wear that too! Ah.. I didn’t think of that.. Something to consider for the future. Very nice indeed Lewie. 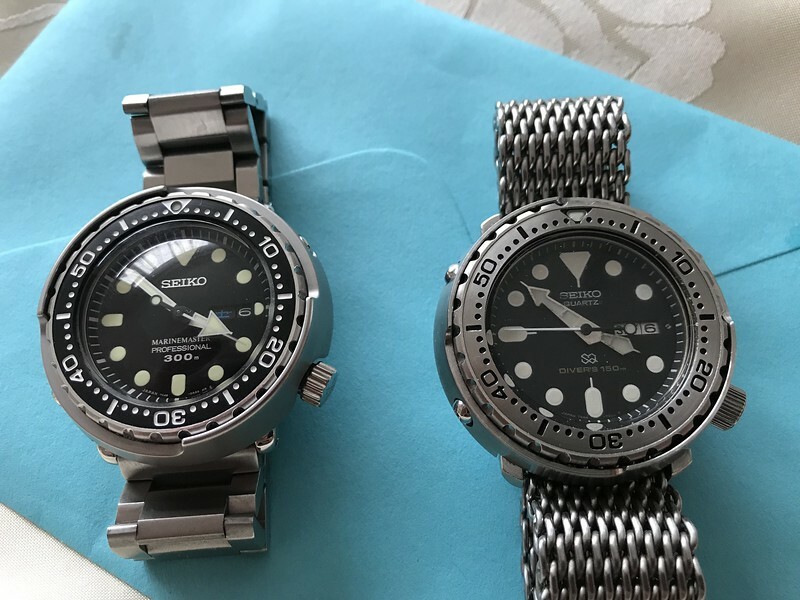 - I like to see a TST with all genuine Seiko parts. (originally a 6309? ).